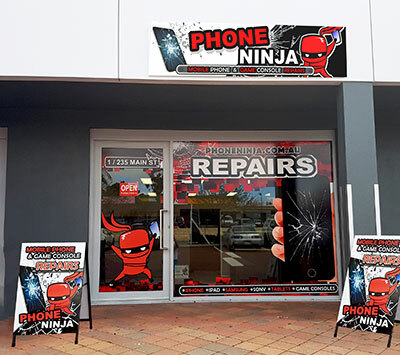 Our Osborne Park store is conveniently located just a minute away from the Freeway (via Hutton St) and is situated at 1 / 235 Main St in between Liquor Land and The Professionals Real Estate. Located 10 minutes away from Perth CBD, Morley, Scarborough, Claremont and Hillarys, we are even within 20 minutes of Joondalup, Malaga, Dianella, Cottesloe, Wangara, and Wanneroo; making us easily accessible from anywhere North of the River Perth (for our South of the River Perth store see Willetton and for our Eastern Suburbs see Belmont) without the troubles of traveling through inner-city traffic. Our store manager, Max, has now moved to our Osborne Park store having managed our Willetton store since 2010. Max is always willing to help, even with your most difficult repair or obscure devices. In his spare time, Max enjoys DJ’ing, and has a habit of making really, really bad dad jokes, don’t blame us you’ve been warned.